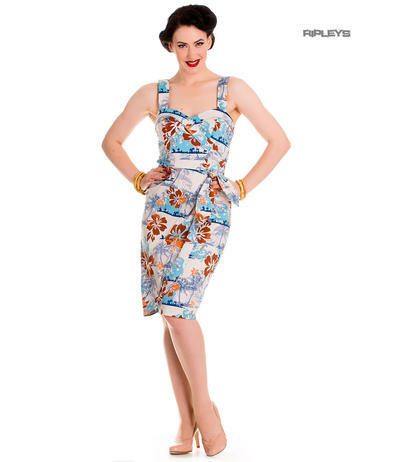 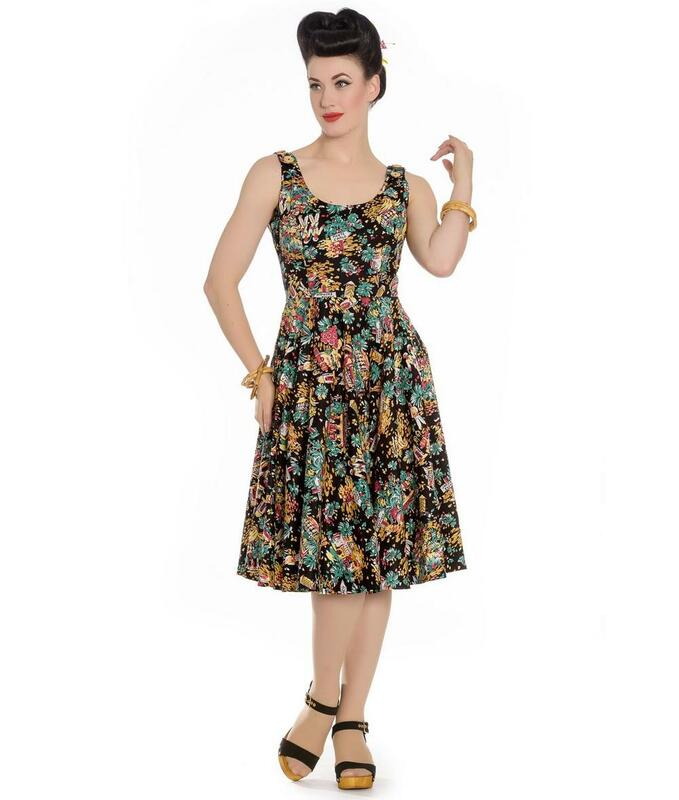 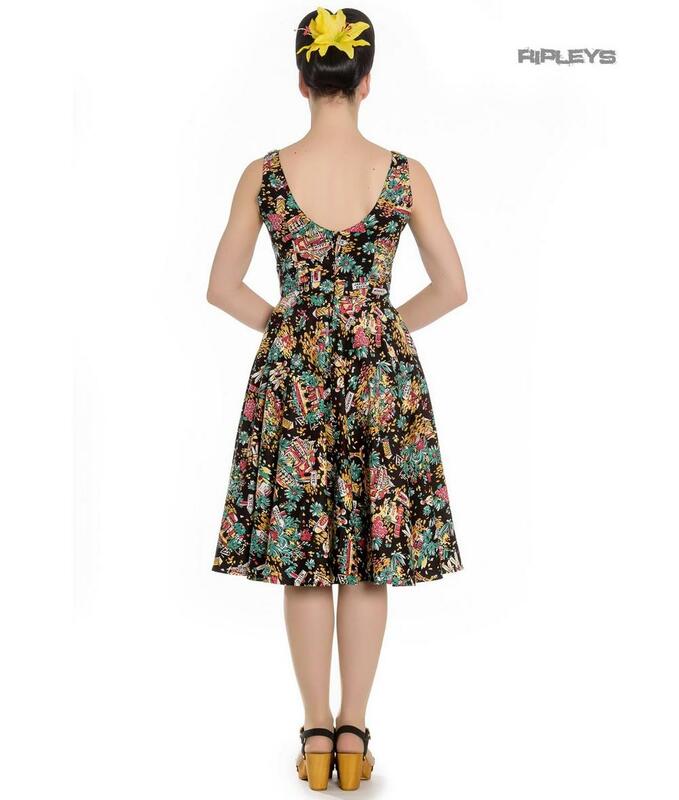 50s style dress with an all over tropical print. 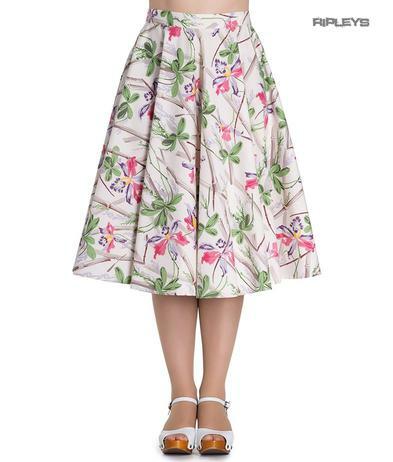 Featuring button detail on straps and pockets in the skirt. 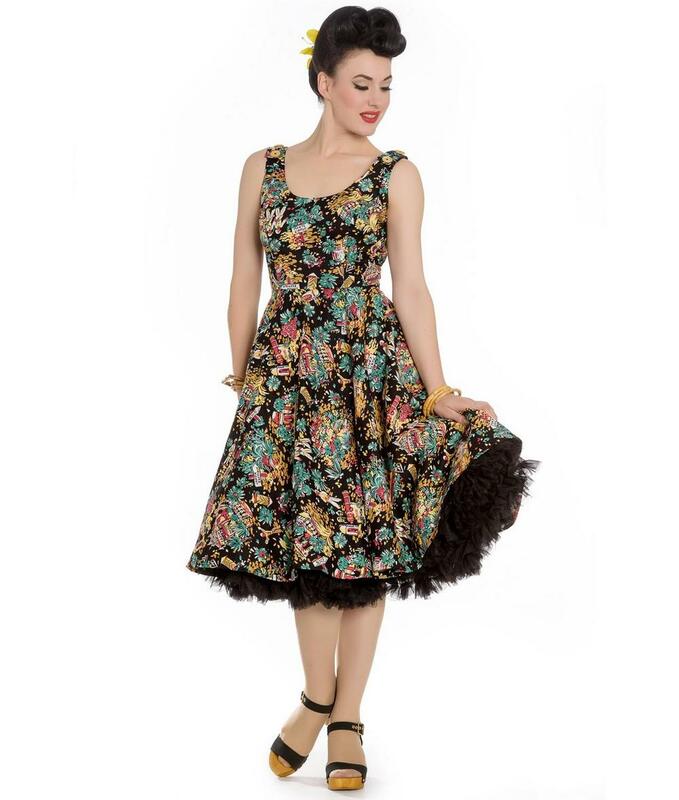 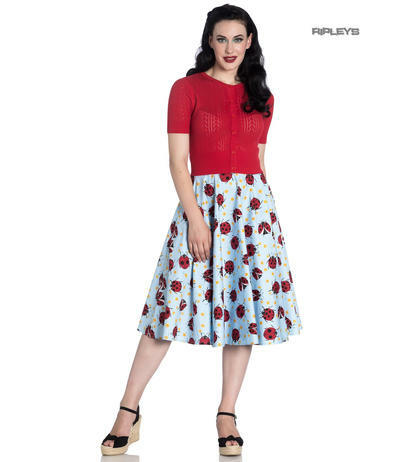 Perfect for almost any occasion the dress can be worn on its own or dressed up with a Hell Bunny Petticoat - these must be purchased separately! 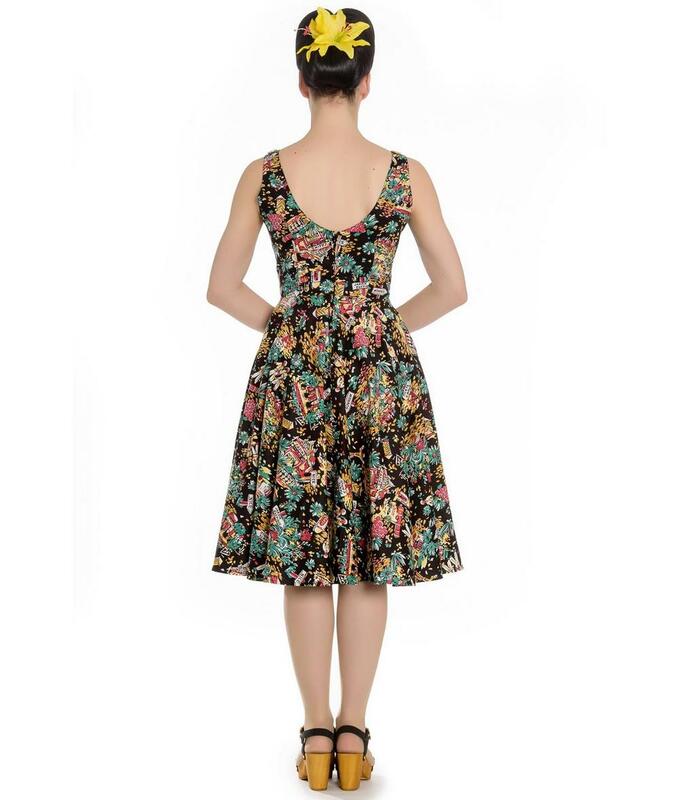 The dress is made from a slightly stretchy, lightweight cotton and has a very elegant cut to the body which makes it flattering on any body shape.